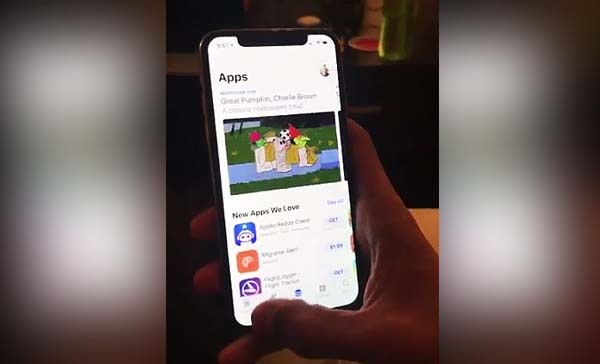 This video of App switching on Apple iPhone X is hypnotizing! Apple’s anniversary smartphone iPhone X is coming out on November 3rd. The device features am fullscreen OLED display, wireless charging, dual cameras with improved depth sensing, and a whole new face recognition unlock system called Face ID. In the video, a user demonstrate how to switch running apps in the new iPhone X — and it looks gorgeous. Watch below. To switch apps on the iPhone X, users needs to swipe in arch form on the screen. The gesture causes the current running app to be pushed aside before revealing the carousel of previous running apps. Available in Space Gray and Silver colors.